The important distinctions of the 2008 Jeep Grand Cherokee Diesel is just that… with a Mercedes award-winning 3.0-liter common rail diesel V-6 engine. The 3.0-liter uses a high-pressure common-rail fuel-injection system that works at an incredible 29,000 psi with exceptionally smart Bosch solenoid injectors. Basically, these injectors spray and pulse fuel directly into the cylinder chamber with such precision and efficiency, the result is more power, better fuel economy, and a cleaner burn. 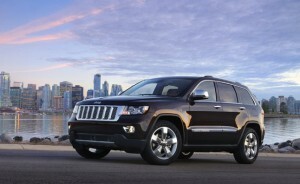 In fact, in the Grand Cherokee EPA numbers are 20 in the city, and 25 on the highway. Power output is rated at 215 horses at 3800 rpm and 376 pound-feet of torque at 1600 rpm.